We found 0 results for memory care in Eads, Colorado. We have also included 1 result in surrounding areas. 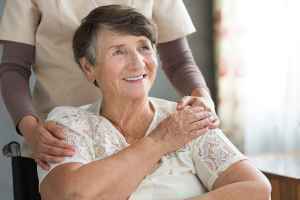 Memory care costs in Colorado range from about $85 up to $421 daily, with an average expense running around $160. The per month cost averages around $4,803 and ranges between $2,540 and $12,615. On an annual basis, the average cost is around $57,637, which is under the US average of $60,900. Eads is a town in the State of Colorado. It is located in Kiowa County. The encompassing metropolitan area contains 509,383 people, but there are only 962 within the city itself. The 55+ community makes up about 40% of the total population. The SeniorScore™ for Eads is 64. The average home price in the city is $124,500, which is much less than the state average of $318,000. Eads has a low unemployment rate of approximately 2.21%. The city's average household income is $41,000 ($24,000 per person), compared to the average of $51,000 for the entire state of Colorado. Eads has medium mean temperatures, with cold winters and temperate summers. The city receives ideal amounts of rainfall annually. Eads has very good air quality ratings compared to similarly-sized cities. To see information on the SeniorScore™ for Eads, CO, please visit senioradvice.com/seniorscore/senior-living-in-eads-co.